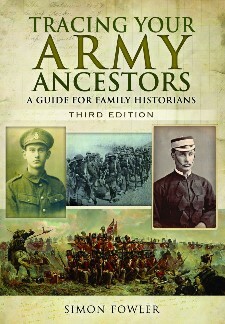 This well-known author has produced yet another excellent guide for researching ancestors who have served in the Army. “A splendid publication with a great deal of valuable information.” Michael Brooker, Guild of Battlefield Guides. Tracing Your Ancestors, Tracing Your Naval Ancestors, Tracing Your Great War Ancestors: Ypres, Tracing Your Great War Ancestors: The Gallipoli Campaign and Tracing Your Great War Ancestors: The Somme. Find out more at www.historyman.co.uk.